The new challenge at the studio challenges is: use squares on your layout! 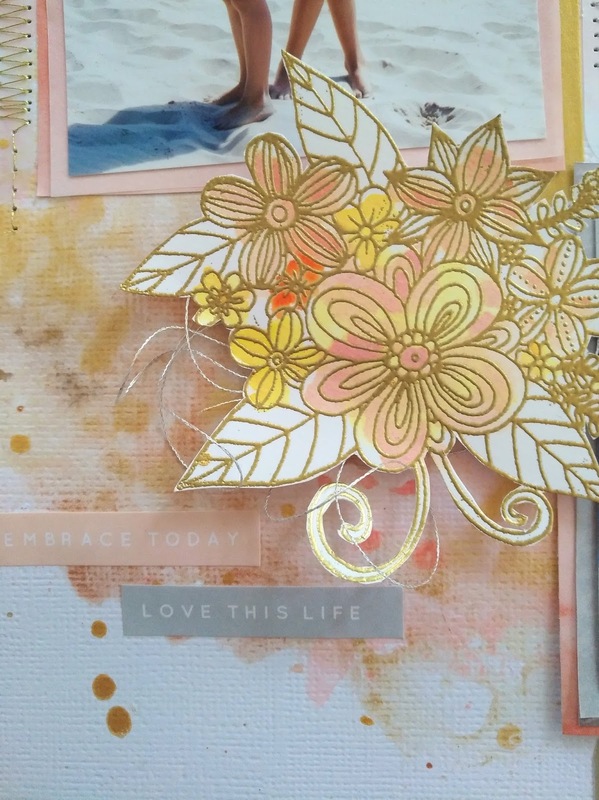 I used white cardstock as my background and splatted some golden, bronze and salmon color onto it. Then I used vellum squares from a project life kit of weRmemory Keepers. I hate it that you can see the glue under vellum sheets, so I decided to machine stitch through to fix them. The flower bouquet is from SF-Stamps "Lieben Leben Lachen". Great idea!!! Love this one!